Where to find a cheap garage door repair service and cheap garage door spare parts in Melbourne? Garage Door Repair cost if it’s not fixed in a timely manner, not to mention the security risk of a gaping hole if the garage door is stuck partly open. 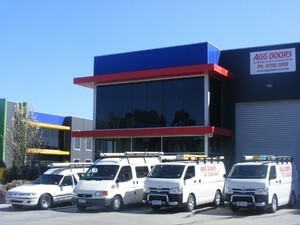 As one of the fastest growing Garage Door Companies in Melbourne, AGG Doors offers cheap garage door repair services, that would surely fit your budget, they specialise in almost all types of Garage Door Repairs, whether it be Panel / Sectional overhead garage door repairs, Automatic or manual garage door repairs, Roller door repairs and Garage Door Opener Repairs they know how to fix it. If you want to cost-cut and minimise your expenses, choose a Garage Door Repairs company that doesn’t burn a hole in your pocket and doesn’t compromise the quality of service, remember cheap doesn’t mean compromised. AGG Doors can provide you with an estimate of the cost of the required repairs from the information you provide, so the more detailed you are the better, as the likelihood of the quote being accurate would be greater, they will also send you a highly skilled technician who will attend during an agreed upon time slot. A cheap garage door repair with a quality service, that’s what AGG Doors is all about! Call us anytime at 1300 404 513 for your free measure and quotation! Let us fix your Broken Garage Door and see the difference!